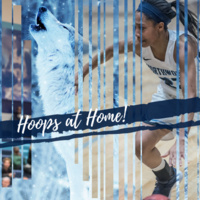 You and your family are invited to Northwood University Basketball Alumni Day! Gather in the new Panning Pavilion inside the arena for food, drink and fellowship with NU basketball alumni and friends. Catch up with the coaches and meet the teams! Cheer on the T-wolves as they play the GVSU Lakers. Women’s game begins at 4pm, followed by men’s game at 6pm! Two complimentary tickets and an alumni gift for all alumni who RSVP in advance. Additional tickets can be purchased at the door. Good time, even with the loss to the Lakers. Northwood University is a regionally accredited, nonprofit institution. Northwood University is committed to a policy of nondiscrimination and equal opportunity for all persons regardless of race, gender, color, religion, creed, national origin or ancestry, age, marital status, disability or veteran status. The University also is committed to compliance with all applicable laws regarding nondiscrimination. Northwood University is accredited by the Higher Learning Commission (hlcommission.org), a regional accreditation agency recognized by the U.S. Department of Education.